USSR state label founded in 1964. The label is also known as Melody, Melodia, Melodiya or Melodija. It was the only record label operating in the USSR beyond 1964 (the state had a number of record labels operating prior to 1964), but ceased to be state-owned when the USSR collapsed. Export releases were shipped with full colour sleeves and, at least, English translations while most domestic copies had generic paper sleeves. It is HIGHLY recommended to provide manufacturer info in the Notes. USSR manufacturing variations always have different label designs, so they are eligible to be submitted to the database as separate entries. They also have more or less different back covers, often different years, sometimes slightly different catalog numbers, and sometimes even entirely different sleeve design. Manufacturer can be found on the vinyl labels, right below "МЕЛОДИЯ". If you see your release is already in the database, but without manufacturer info and pictures, it is recommended you first ask the original submitter to add this information instead of quick "converting" to your version. If you don't know the year of a release, use [url=https://web.archive.org/web/20150922100556/http://rockdisco.lv/Labels/M/Melody/index.htm]this table[/url]. Of course this table is only useful if your version is not a repressing nor a reissue. PNP Records has a page that allows you to determine release dates based on catalog numbers (pretty much identical to the previous table) and approximate pressing dates based on the ГОСТ 5289 standard and label colors; here’s a link to the page. 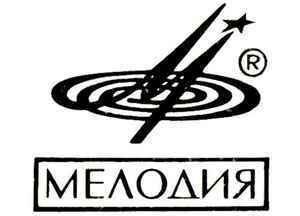 The company entry associated with this label is ВФГ "Мелодия" (Всесоюзная Фирма Грампластинок Мелодия).